Most people plan their meals around a main dish, not giving too much thought to the side dishes they add in. But what if your side dishes could provide your body with an even bigger nutritional boost than your main dish? Here are 10 side dishes to cook up that are amazing for your health, and are also a delicious accompaniment to a wide range of main dishes. To put it simply, kimchi is basically the Korean version of sauerkraut. When it comes to making them, a few different things, ranging from the time that they take to ferment to the amount of salt used. 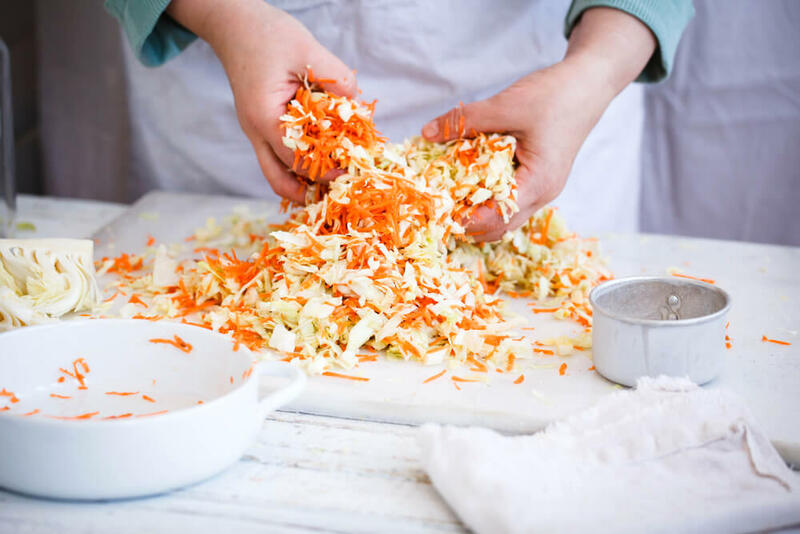 In terms of taste, kimchi is much punchier, but that’s usually because it contains a number of other ingredients in addition to the cabbage. Kimchi often boasts several different seasonings to give it more flavor, including garlic, ginger, fish sauce and spring onions. Try mixing some kimchi through some rice – it will truly transform the rice into such an exciting side dish! Often referred to as a superfood, sauerkraut is made from sliced cabbage, making it similar in a way to coleslaw. 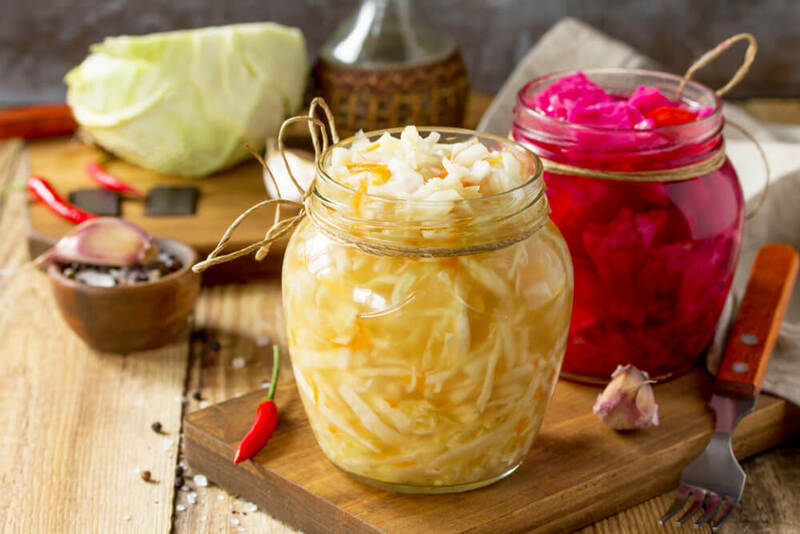 While coleslaw is full of mayonnaise, sauerkraut is fermented, making it so much better for you. Store-bought sauerkraut is usually pasteurized, meaning that it has been treated with heat. This destroys the beneficial probiotics in the sauerkraut, while also reducing the potency of its vitamins. Store-bought sauerkraut also usually contains preservatives and sugar, neither of which are good for you. On the other hand, homemade versions are packed with probiotics and other potent nutrients. The homemade version also usually tastes better too. Wondering if it’s easy to make sauerkraut at home? Yes, all you need is some cabbage and salt. There are various recipes online, some with the addition of other ingredients, so take a look at what’s out there to see what appeals to you the most. Never heard of teff bread before? Well, teff bread is pretty different from standard bread. 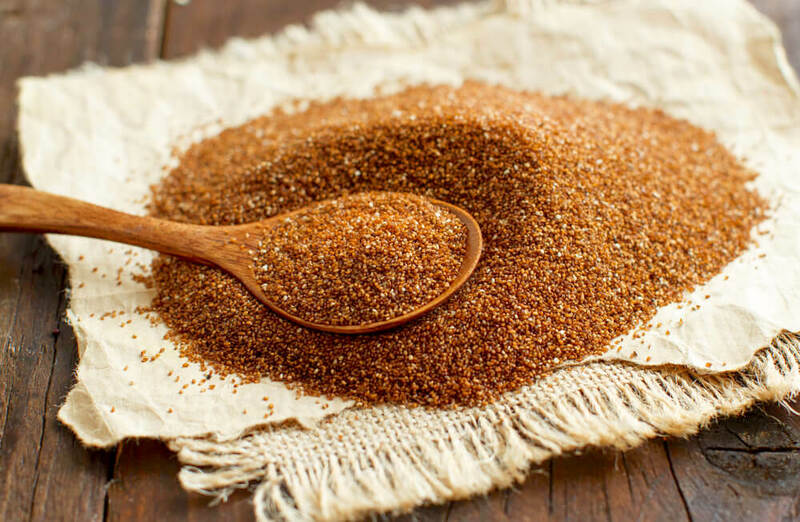 Teff is a gluten-free grain that is packed with nutrition. It is native to Ethiopia, although it is now being grown in countries around the world, including a couple of states in the USA. All of these nutritional components mean that teff is able to help with everything from circulation to digestion to immune function. It even helps to re-balance hormonal levels, making it useful for treating the symptoms of PMS. In order to make teff bread, the grain needs to first be fermented, which then gives it probiotic benefits too. Not keen on bread making? Teff can be used in other ways too. You can use it as a side dish in the same way that you would quinoa, although teff requires slightly more water when cooking. Although teff grains are smaller than quinoa, they fluff up beautifully, making for a tasty and filling side dish. Looking for something healthy to eat with the teff bread mentioned above? Salsa will do the job perfectly. 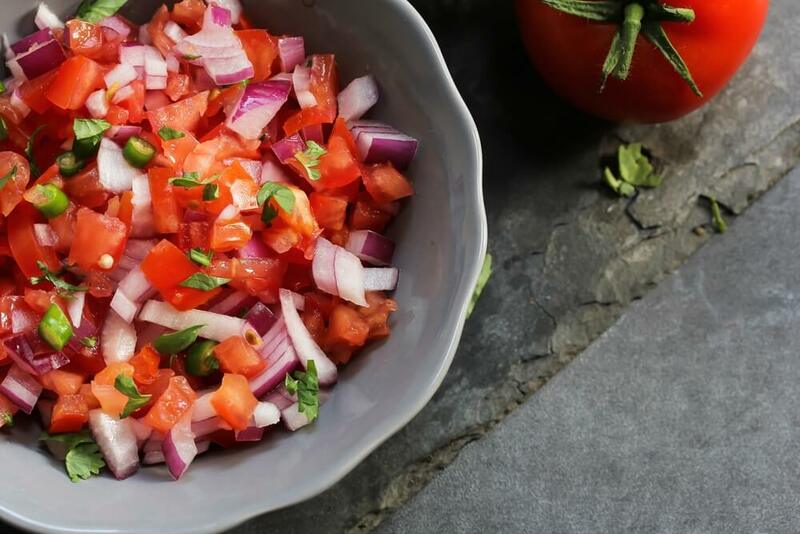 Salsa is usually served raw, meaning that your body is able to obtain maximum nutrition from each of the ingredients. It is also such an easy side dish to make, and can store in the refrigerator for a few days, during which time the flavors will only intensify even further. This will provide the salsa with probiotics and live enzymes, making it even better for your body. Apple cider vinegar is another fermented food, which is why it is known for having so many health benefits. How exactly is apple cider vinegar good for you? After reading all of that, why wouldn’t you want to be eating more apple cider vinegar?! The easiest way is by turning the apple cider vinegar into a salad dressing. There are several recipes for this out there, each one containing various other healthy ingredients, from garlic to mustard to olive oil. 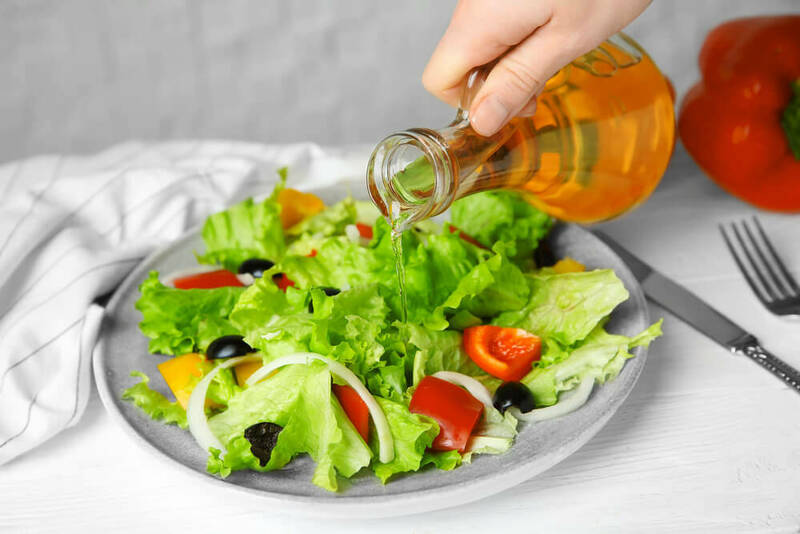 No matter which you choose, the apple cider vinegar will add a beautiful tanginess and brightness to your salad, turning it into an incredible side dish. This is a popular dish in Sweden, which also happens to be one of the healthiest countries in the world. What does a herring platter actually consist of? Well, as you can tell from its name, herring is the star of the dish. 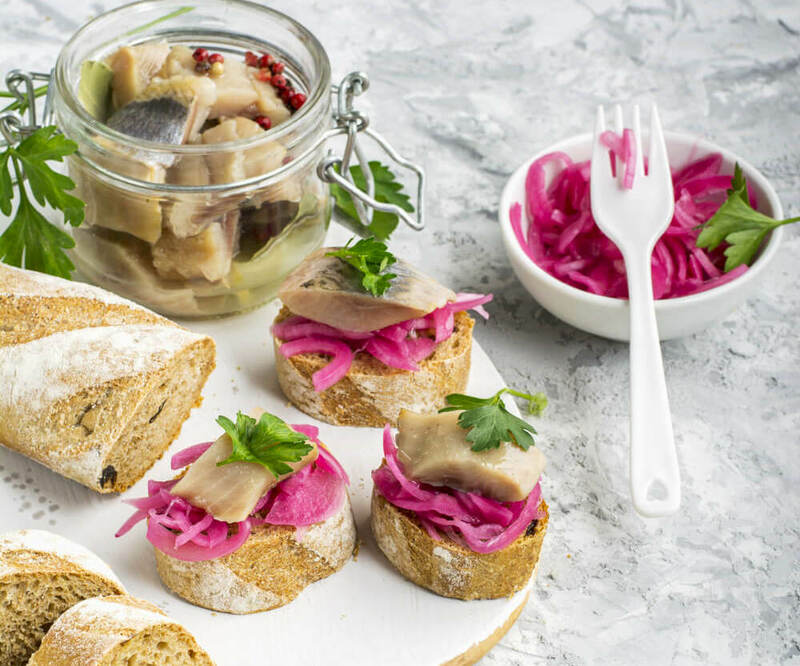 Being an oily fish, herring is packed with omega-3 and omega-6 fatty acids, with both of these being essential fatty acids that your body cannot produce on its own. A herring platter usually consists of herring in a few different forms, such as raw, pickled and smoked. This already gives you a variety in terms of flavor and texture. What else should the platter include? Have you ever tried poblano peppers before? They are basically the green version of red Ancho peppers. While some of them can be quite hot and spicy, they are generally quite mild. In fact, a jalapeno is said to be about five times hotter than a poblano. The fact that they aren’t too spicy means that you can eat more of them when compared to other types of hot peppers, which is something that would be hugely beneficial to your health. 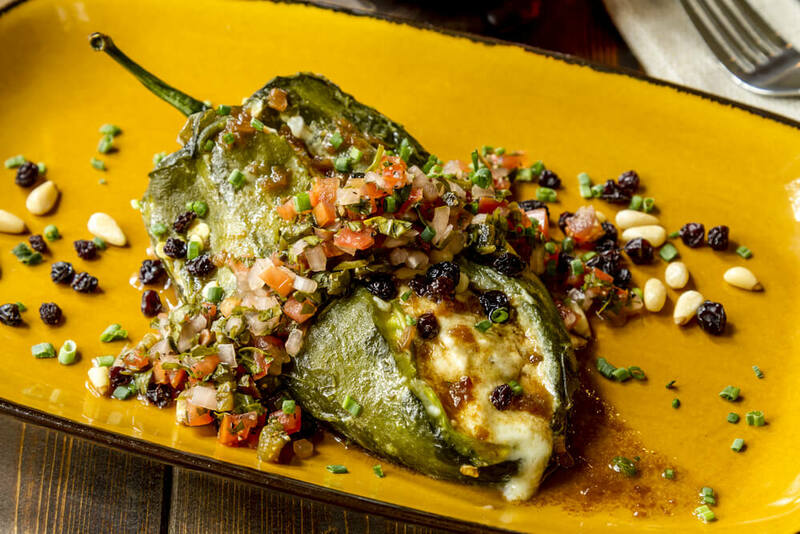 Wondering how poblano peppers are good for you? That’s probably enough to convince you to give them a try, but what do you actually stuff them with? Well, since you’re trying to be healthy, stay away from fillings with bad fats, such as cream cheese and chorizo. Instead, give barley a try. Although barley is a grain, it contains over 80 different nutrients, as well as plenty of fiber. Try combining a few of those filling ideas for a delicious flavor explosion! Looking for a healthy soup to serve alongside a meal? It doesn’t get much healthier than miso soup! Miso is a fermented food, and is a traditional ingredient in Japan. What’s it actually made from? It basically consists of fermented soybeans, along with fermented grains. As you can imagine, there are so many different types and varieties of miso out there, each one varying depending on region, culture and more. Foodies would say that miso provides an exquisite umami flavor to food, and can be added to everything from soups to salads to vegetables to marinades. 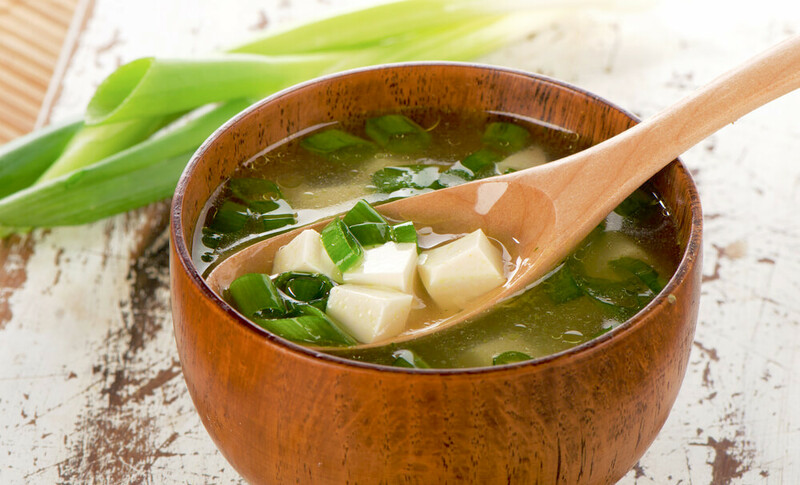 In terms of health benefits, miso is packed with vitamins and minerals, along with gut-friendly probiotics. You can add in so many other healthy ingredients too. From chilli, garlic and ginger to onions, chard and tofu, miso soup is an easy dish to personalize and make your own. You probably already know that beans are good for you. The fact that they contain high amounts of protein and fiber is no secret. 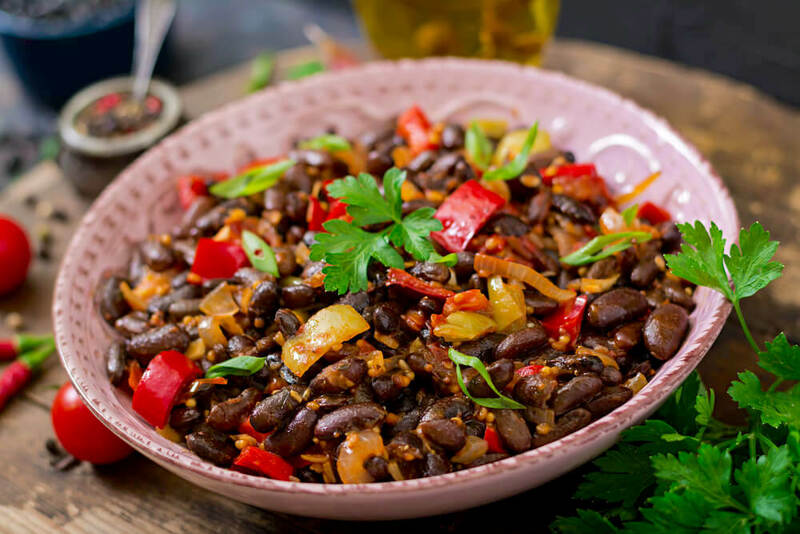 The minerals within black beans, particularly calcium, iron, phosphorus and zinc, play an important role in maintaining the health of your bones and joints. Black beans are also able to decrease blood pressure, help manage diabetes, protect against cancer and heart disease, and aid with digestion. Black beans are packed with a wide range of phytonutrients, all of which provide antioxidant properties. How do you actually cook black beans? It takes a while to cook dried black beans – you need to begin soaking them the day before. However, the canned versions are much quicker and easier to cook up. Try cooking them Mexican-style with onions, garlic, cumin and cilantro. Alternatively, turn them into a chilli or a curry for a heartier side dish. Roasted beets are simply exquisite. Roasting brings out such a sweet and intense flavor that even those who don’t usually like beets cannot say no to them. 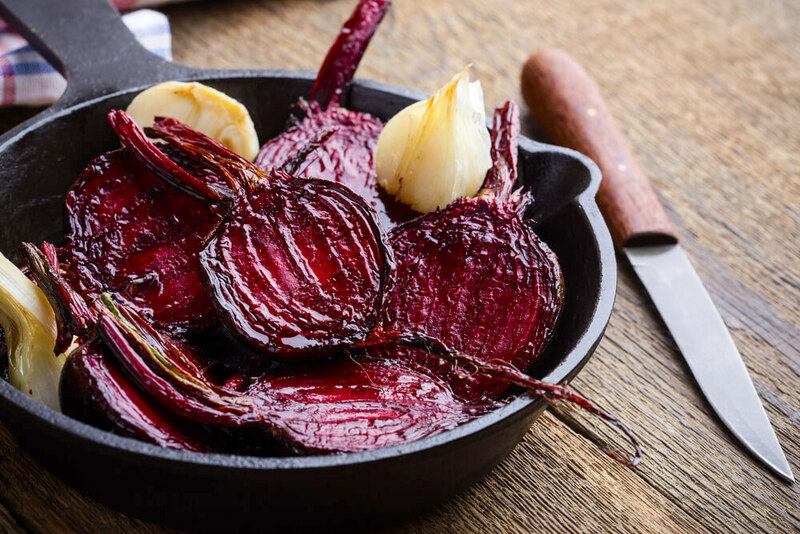 If you have never tried roasted beets, now is the time to do so. All you need to do is place some whole beets into a baking tray with some olive oil and seasonings. Garlic, onion, thyme, salt and pepper work especially well. Then, roast them for an hour or so, until they are tender. Their skin will pretty much fall off at this point, making them easy to peel. Then, either slice them or mash them, and then serve them up! 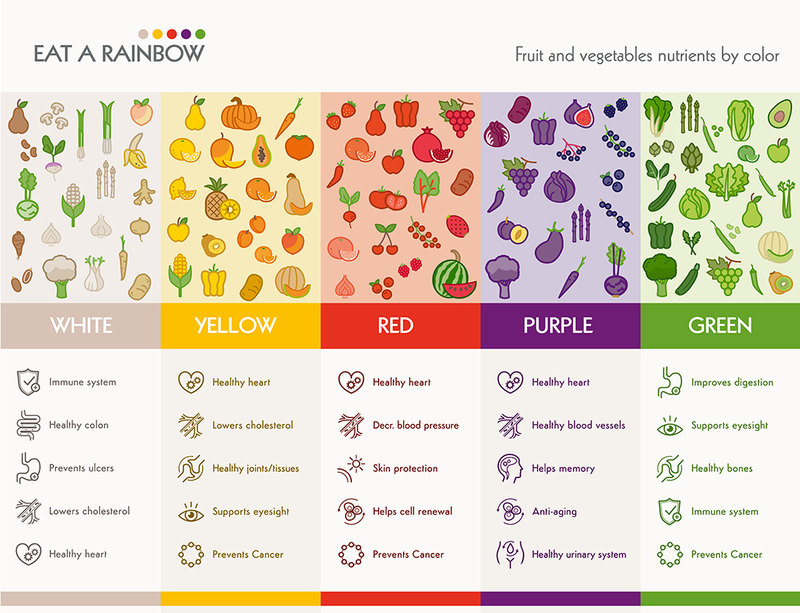 What makes beets so healthy? It is always fun to experiment with new dishes in the kitchen, especially when you know that they are good for you. Whether you opt for a spoonful of sauerkraut, a bowl of miso soup or a beautiful herring platter, these side dishes will really help to give your health a huge boost. You have probably heard the term “immune system” so many times throughout your life, but do you know what your immune system actually is? 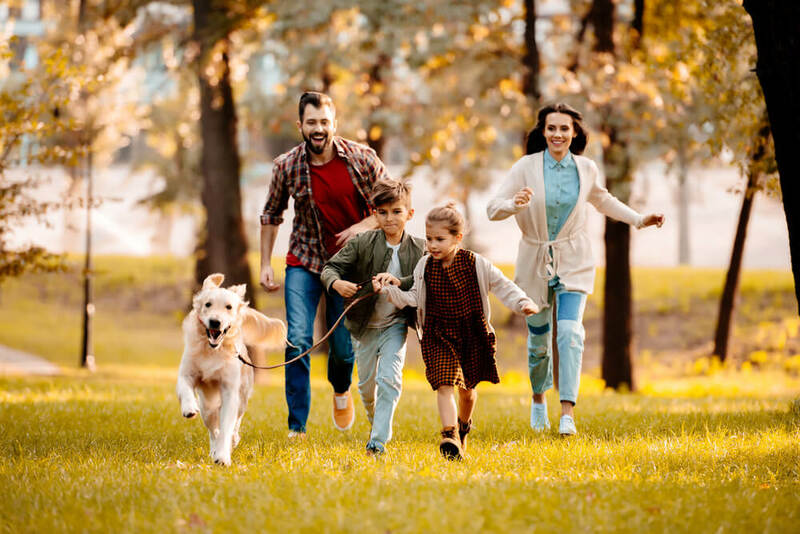 Your immune system consists of a network made up of organs, tissues and cells, and these protect the body from foreign invaders and infectious compounds. Do you suffer from recurrent infections, digestive problems, inflammation or an autoimmune disease? Then this means that your immune system is weak, and would really benefit from a boost. Around 70% to 80% of your immune system is located in your gut, which is why the food you eat will have a direct impact on how your immune system functions. To really strengthen and support your immune system, here are eight foods that you should try to incorporate into your diet. Just about every type of cuisine in the world makes use of garlic, and it has long since been used as a method of fighting off infections. How exactly is it able to do this? Well, garlic contains a compound known as alliin. When a garlic clove is crushed, or even chewed, the alliin within it turns to allicin. The allicin within garlic contains sulfur, and this is what gives garlic its distinctive smell. It is also the reason as to why garlic smells its strongest after it has been crushed, compared to when it is a whole clove. However, allicin is quite an unstable compound, meaning that it doesn’t stick around for too long. It turns into other compounds that contain sulphur, and these are what give garlic its medicinal properties. 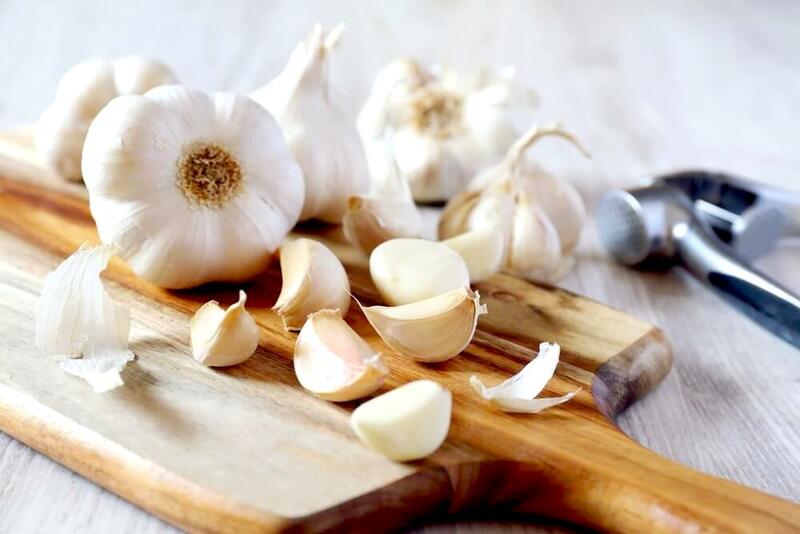 There is plenty of research out there that shows how garlic is not only able to prevent you from falling sick in the first place, but also affects how quickly you recover when you do fall sick. Those who consume more garlic will not only have a lower risk of catching a cold or developing an infection, but they will also feel better so much faster. Of course, in order for the allicin in the garlic to work properly, you need to make sure that you always crush garlic and leave it to stand for ten minutes before you use it. This will enable the allicin to convert into medicinal compounds. Wondering how much garlic you need to eat in order to experience its immune benefits? As much as possible! But at least one clove per meal would be ideal. 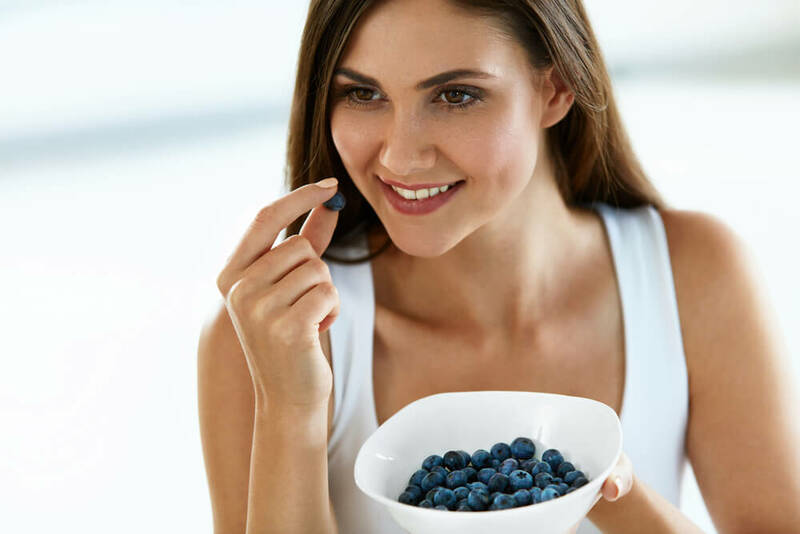 Blueberries may be small, but they are actually packed with a number of important nutrients, all of which really support the immune system. This compound is known as pterostilbene. When consumed, it boosts the way in which the CAMP gene functions. 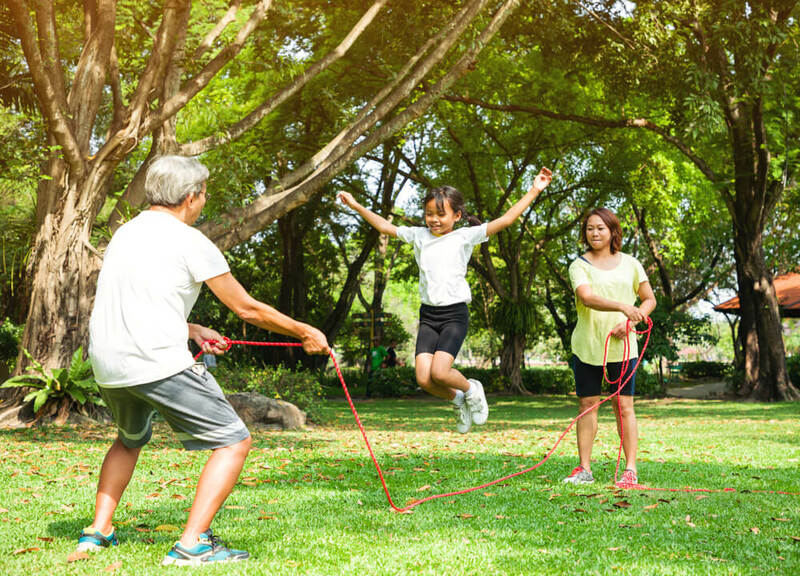 The CAMP gene, which stands for cathelicidin antimicrobial peptide, is responsible for creating specific proteins that protect the body from bacterial infections. Can’t stand the taste of blueberries? 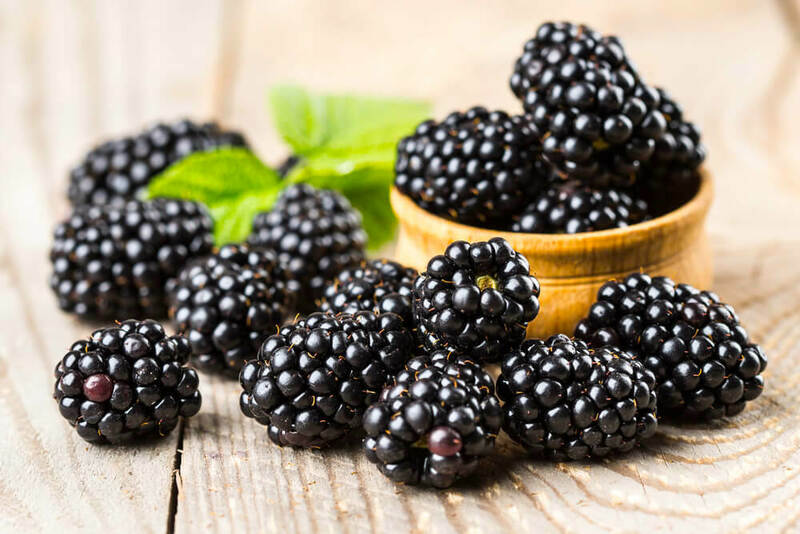 Other dark berries, such as red grapes, cranberries and mulberries, also contain pterostilbene, although in smaller quantities. Now that the festive season is approaching, cinnamon is a spice that you will likely encounter more frequently, and, in addition to adding a distinct flavor and scent to foods, this spice is also a powerful immune booster. When consumed, cinnamon is able to increase the amount of T regulatory immune cells, also called Tregs, within the body. They basically control the way in which the immune system responds to foreign invaders, as well as those that are coming from the body itself. This not only helps to prevent autoimmune diseases, but also strengthens the immune system, enabling it to better protect itself against infections. The majority of popular recipes and dishes featuring this spice tend to be laden with calories and other unhealthy ingredients, all of which will only put a damper on your immune system. Looking for a healthy way to cook with cinnamon? You may need to get creative when it comes to using more of this spice, but the benefits that cinnamon brings really makes this worthwhile. You have probably already heard of turmeric being called a superfood lately, with this ingredient becoming increasingly popular in recent years. 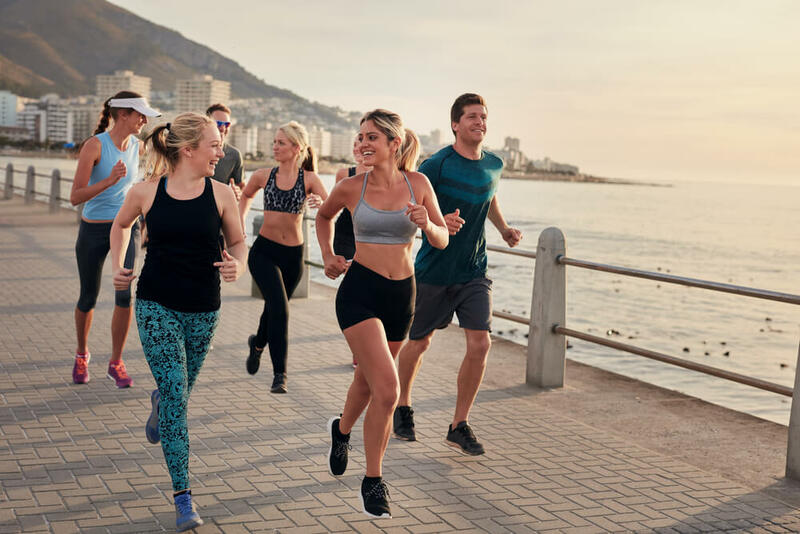 Because a number of studies have now been carried out that prove its many benefits, one of which is the way in which it boosts the immune system. It all comes down to a compound called curcumin, which is what gives turmeric its vibrant yellow color. 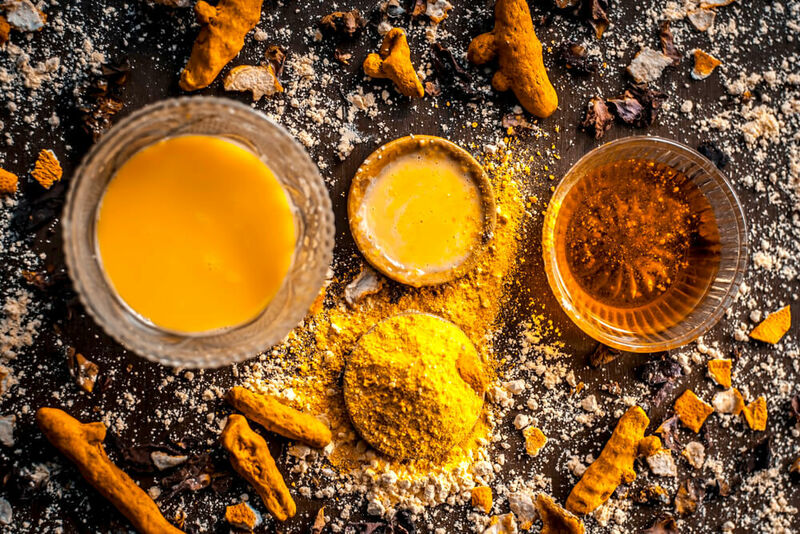 While curcumin is mostly known for its anti-inflammatory properties, research shows that curcumin is also able to enhance antibody responses within the body, strengthening the immune system. Turmeric in its raw form is not easily absorbed by the body. In order to maximize its impact, turmeric should be gently cooked, and mixed with an oil, as well as black pepper. The oil helps to carry the curcumin while the black pepper significantly increases its bioavailability. Turmeric golden paste is a great way to consume the herb, as the recipe takes into account all of the above, and can be cooked up in less than ten minutes. This can then be taken on its own a few times a day, or mixed into your meals. Wondering if you can just take a curcumin supplement instead? Yes, but you likely won’t experience the same impacts when it comes to the benefits of this. Eating whole foods always tends to be more beneficial for the body, as not only will you be consuming the curcumin, but also the many other medicinal properties that the turmeric contains. Just like some of the other immune-boosting foods on this list, kefir has become quite popular lately. It’s a fermented drink made from milk, almost like a thinner and lighter version of yogurt. However, while yogurt contains just a couple of strains of beneficial bacteria, kefir can contain ten times this amount. So, where can you get kefir from? One option is to purchase it, and you will usually find it at health food stores, with more grocery stores now stocking it too. In order to be sold commercially, kefir needs to be processed. 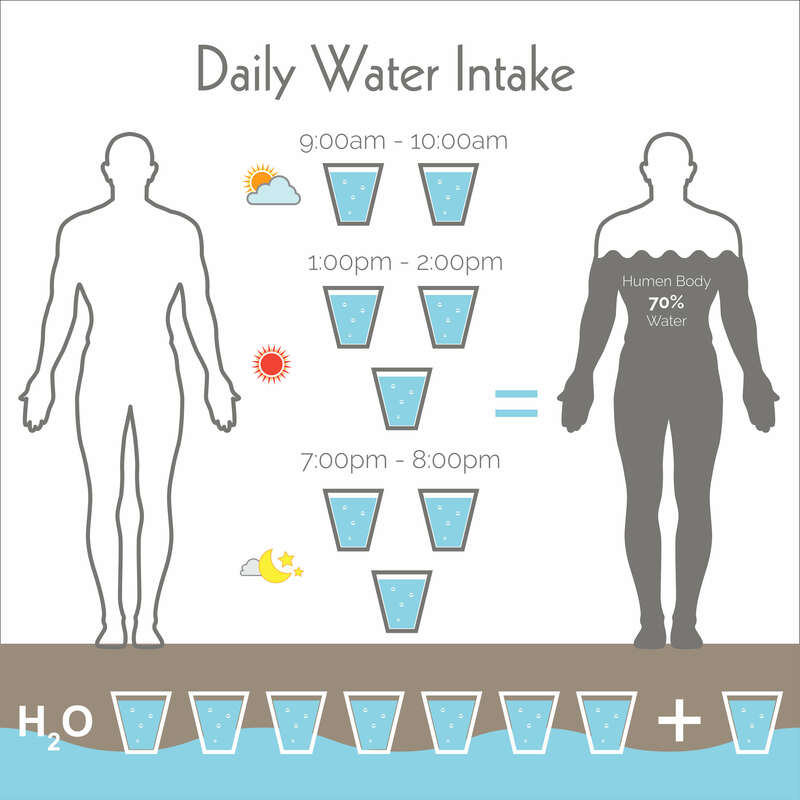 Even if this is minimal, the heat used ends up destroying a significant amount of the beneficial bacteria within the drink. For the very best results, you would be best off making kefir at home. There are several how-to guides out there that will walk you through this easy process. Just about every type of tea is extremely beneficial for the body, but green tea is especially powerful when it comes to strengthening the immune system. Because it contains high levels of epigallocatechin gallate, also known as EGCG. 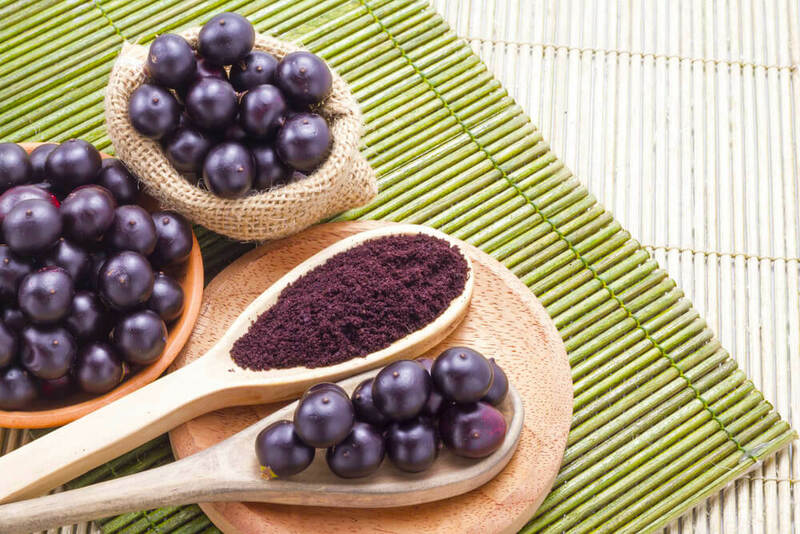 This is an extremely powerful antioxidant that has been proven to significantly enhance immune function. Wondering why black tea doesn’t contain this antioxidant, since both teas come from the same plant? Well, tea leaves for black tea are fermented, whereas tea leaves for green tea are steamed. The fermentation process for black tea destroys a large amount of the EGCG within the leaves, whereas the steaming process preserves this antioxidant. Not only that, but green tea also contains L-theanine. This is an amino acid that boosts the way in which your body’s T-cells are able to fight germs. Don’t like the taste of green tea? Many people find green tea to be too bitter. Then you will be happy to know that dark chocolate is fantastic for strengthening the immune system. Of course, this means that the chocolate needs to contain at least 70% cacao, as this ensures that there are high levels of flavonoids within the chocolate. 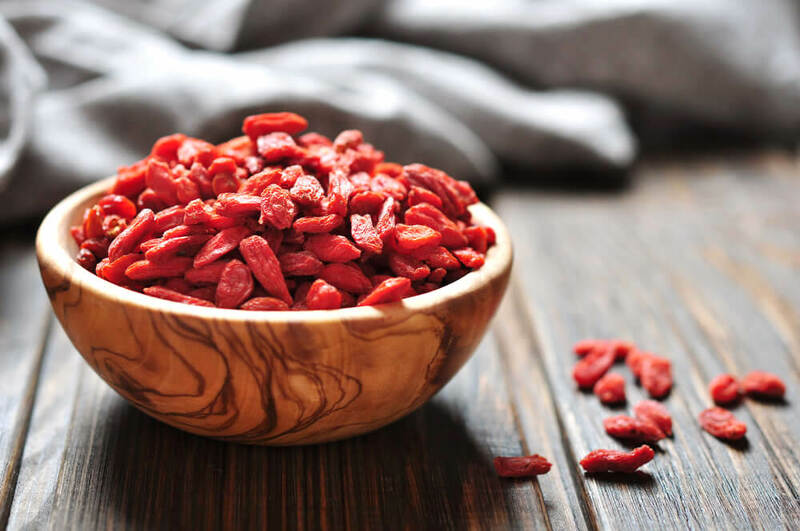 They’re antioxidants that do a number of different things within the body, including increasing the amount of antibodies that the body produces. This then gives the immune system a huge boost. Thinking you can eat copious amounts of dark chocolate now that it’s been proven that this is a beneficial food? Unfortunately not. You still need to moderate how much dark chocolate you eat, since this food is still high in saturated fat and calories. 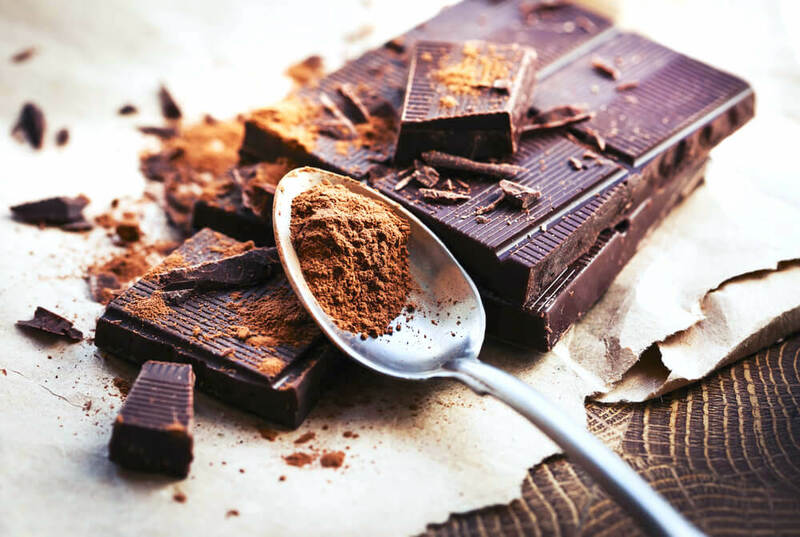 If you know that you shouldn’t be consuming any extra calories on any given day, you could always give some dark chocolate a sniff instead, so long as you can resist the temptation to eat it! This may seem cruel, but it’s actually beneficial. Research shows that even the smell of dark chocolate can trigger the body to produce double the amount of antibodies in just 20 minutes. In the study carried out, this boost in immunity lasted for over three hours, although it did decrease as time went on. Whenever you’ve had a cold, people have likely advised you to eat oranges, or drink warm lemon water. It’s all down to the vitamin C content in citrus fruits, which amp up the body’s production of white blood cells. What do white blood cells do? They are cells within the immune system that protect the body from foreign invaders and infectious diseases. These cells flow through the blood all over your body, fighting against bacteria, viruses and other unwanted compounds. Vitamin C is extremely important when it comes to creating these. Since the body doesn’t produce vitamin C itself, it can be easy to become deficient in the vitamin, meaning that your white blood cell count declines. This weakens your immune system, meaning that you will fall sick faster, and take longer to recover. So, in addition to oranges and lemons, what other citrus fruits are there? Need another reason to eat more citrus fruits? Wondering if you can just drink the juice instead of eating the whole fruits? While citrus fruit juices do contain plenty of nutrients, they are also extremely high in sugar. This can end up causing more harm than good when it comes to your overall health. When it comes to keeping your body healthy, your focus should always be on your immune system. In order to keep it strong and working optimally, your diet is so important, so make sure that you are incorporating immune-boosting foods into each meal. Other than sunny weather and longer days, spring also brings about all kinds of fresh produce that is either hard to find or simply non-existent during rest of the year. With the abundance of body-boosting, delicious dietary options, there’s no more excuse to revert to old, damaging food habits. And to give you some ideas on how to overhaul your diet, we have prepared this guide with essential tips on how to use the sunny season to your advantage and, over time, build healthy habits that you can adhere to during the rest of the year, as well. 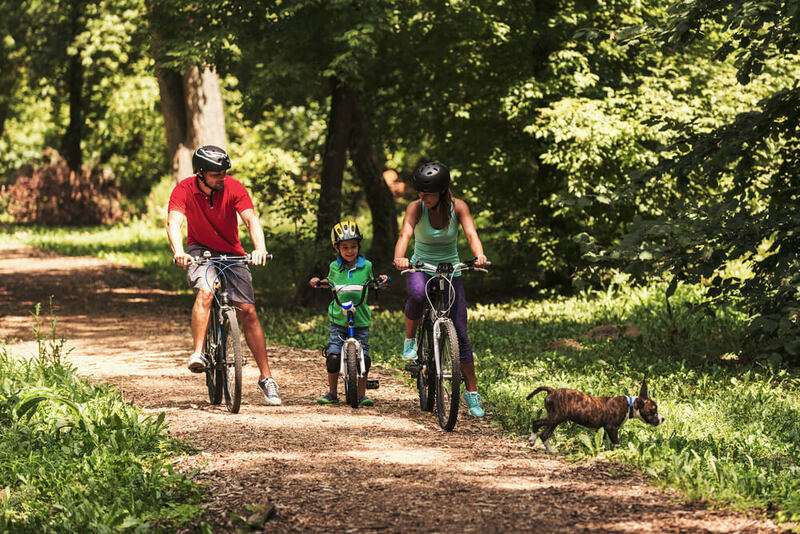 In the springtime, we tend to be more active and spend more time outdoors. This, is turn, causes us to reach for food items that will please our palates and fuel our body. And if you’re the type of person who isn’t exactly health-conscious, you may end up gravitating towards instantly filling foods laden with processed carbs and sugars. Sure, these might feel gratifying short-term, but if you want to build a satisfying, health-oriented diet, then you might want to ditch these processed baddies and go for energizing, fiber-rich options. What are fibers and why should you include more of them in your meals, you ask? Fibers are the kind of carbohydrates your body doesn’t digest. Since fiber itself has zero calories and helps boost digestive system, it should be an essential component in every though-out diet plan. Luckily, foods that are high in fiber are plentiful come spring, which is why this is the perfect moment to load up your plate with these energizing nutrients. Among the foods that contain high level of fiber are oatmeal, barley, as well as various kinds of legumes. Fresh green peas are one of most delicious spring foods which are not only super-easy to prepare, but also chock-full of body-fueling fibers. You can mix your peas with other springtime veggies and cook over garlic and olive oil. Alternatively, you can add them to your favorite pasta or blend them into a delicious puree as a side. Lentil is another legume rich in fiber, which is also incredibly satisfying and belly-filling. To make your lentils extra-tasty, turn them into a basil-infused soup or mash them with some lemon juice and a couple of garlic cloves for a delicious spread. If you are looking for a more breakfast-friendly option, you can always equip your kitchen with a box of bran flakes, which are one of the most readily-available sources of fiber. And if the taste of this fiber-rich cereal doesn’t fill you up with excitement, you can always combine it with your favorite leafy greens or fruit and blend it into a mouthwatering smoothie. If you’re looking for the easiest and quickest way to increase your daily dosage of various health-charging nutrients, then leafy greens should be at the very top of your list. These dietary superheroes are packed with a plethora of vitamins, minerals and other goodies that will not only improve your immunity and overall wellbeing, but also contribute to a healthier appearance of skin, nails and hair. Win-win! Plus, you’ll be pleased to hear that springtime is when leafy greens reign supreme. Leafy green rookies might want to ease their way into their new routine by going for a veggie with a more milder, versatile taste. Baby spinach is the perfect starter-level leafy green. It can go into any food combo, from omelets to stir-fries to smoothies. Moreover, it has a subtle, refreshing taste, so you won’t have to worry about it overpowering the rest of your meal. 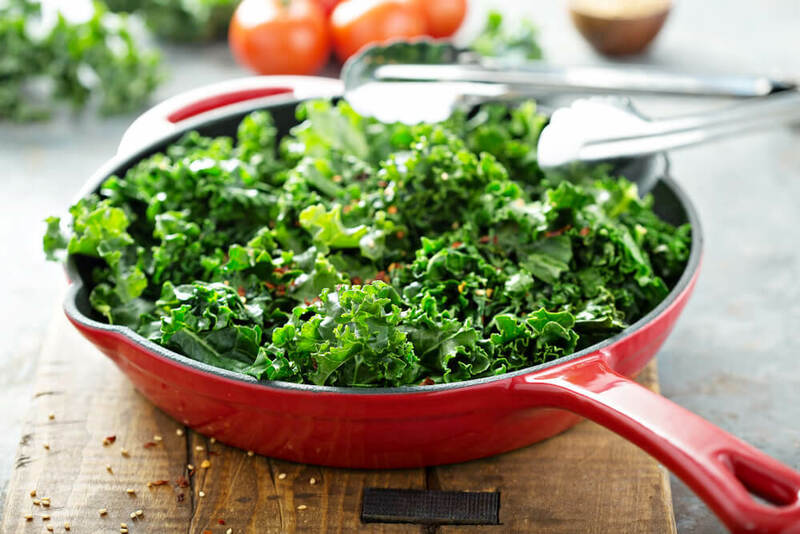 More advanced leafy greens aficionados can enrich their day-to-day meals with a bona fide celebrity among superfoods – kale. This leafy green has become wildly popular in the health and wellness sphere – for good reason, too: it contains high concentration of Vitamin K, which can shield your body from all kinds of illness. Even though kale is slightly more bitter in taste than baby spinach, you should have no problems including it into your daily meal prep – it can be blanched, sautéed, baked or blended! Finally, seasoned leafy green lovers might want to go for something more challenging this spring. If you haven’t done so already, why not try stepping up your veggie game by introducing collard greens into your diet? These nutritional powerhouses are often overlooked in favor of more accessible leafy greens, possibly because of their somewhat earthy tang and chewy texture. However, if you know how to prepare them, collard greens can be just as delicious and health-boosting as any other leaf vegetable. One of the easiest way to soften them up and bring out the flavor is to cook them in a broth with other veggies of your choice. Alternatively, you can drizzle a bit of olive oil over a hot pan and sauté your greens with a couple of crushed and chopped garlic cloves. Once gloomy winter days come to an end, you will inevitably feel inspired to spend more time outdoors and on your feet. And planning meals while you’re busy running errands and catching up with friends might prove to be a little bit challenging. What’s more, if you don’t have a clear of idea what you’re going to eat and when, you might end up reaching for the least healthy options when you’re running low on fuel. That’s why it’s very important to always keep body-energizing snacks at hand, which you can nibble on wherever you go. And if you want to go down the healthy road, spring is the ideal time to start introducing healthy, straight-from-nature snacks that your body will be thanking you for. One of the most convenient and energizing snacks are nuts and seeds. They are easy to carry around and whip out whenever you’re feeling peckish. What’s more, they are packed with a host of healthy nutrients that will replenish your body without adding extra pounds (when consumed in moderation). One of the most readily available and healthy nuts are almonds, which have many body-boosting properties. A handful of almonds a day can help reduce bad cholesterol and help with high blood pressure. On the other hand, if you’re more of a pistachio fan, you’ll be pleased to hear that these nuts contain high levels of antioxidants, especially potassium, which are incredibly beneficial for the nervous system. Cashews can also be a great option for midday snacking, as they can help strengthen your bones and improve your overall immune system. Most of us know that processed sugars are a definite no-go when it comes to building a healthy diet routine. And while it’s pretty obvious that your standard candy and soda is loaded with added sugar, sometimes these high-calorie baddies are not that easy to spot. For example, added sugars could be hiding in your favorite granola bar or that salad dressing you always use in your meals. Luckily, thanks to the appropriate food labeling, it’s easier to identify those extra sugars found in our everyday groceries. However, if you want to take the healthy route, spring is the right time to start satisfying your sugar cravings with deserts that have come straight from nature. In the spring, nature becomes abundant with juicy, delicious fruit which can be a great replacement for your standard go-to treats. 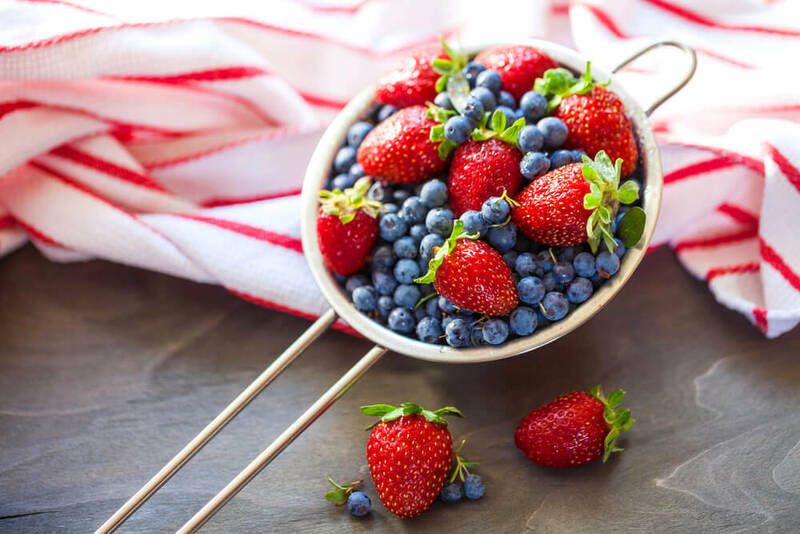 One of the healthiest choices to satisfy your sweet tooth are berries. These bite-sized, vitamin-laden goodies are not only good for you body, they are also super-easy to get a hold of during sun-filled spring days. 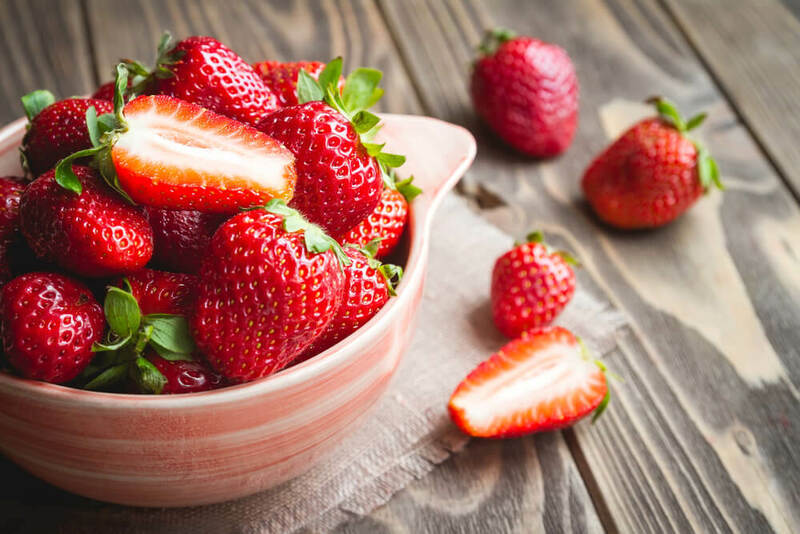 For example, strawberries – everyone’s favorite fruit of the season – are not only rich in various health-boosting nutrients, they also contain very few calories, making them a great choice for people looking to shed a few pounds. 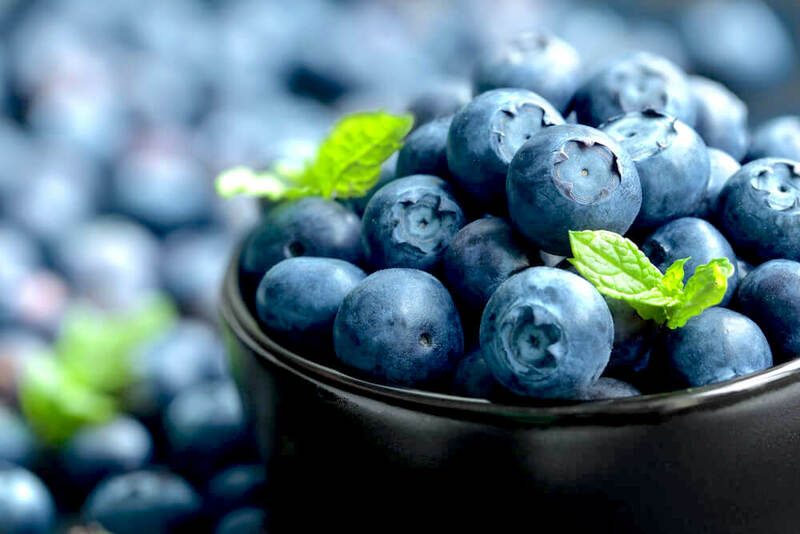 Blueberries are also plentiful in spring, and make for a great addition to any smoothie or fruit salad. 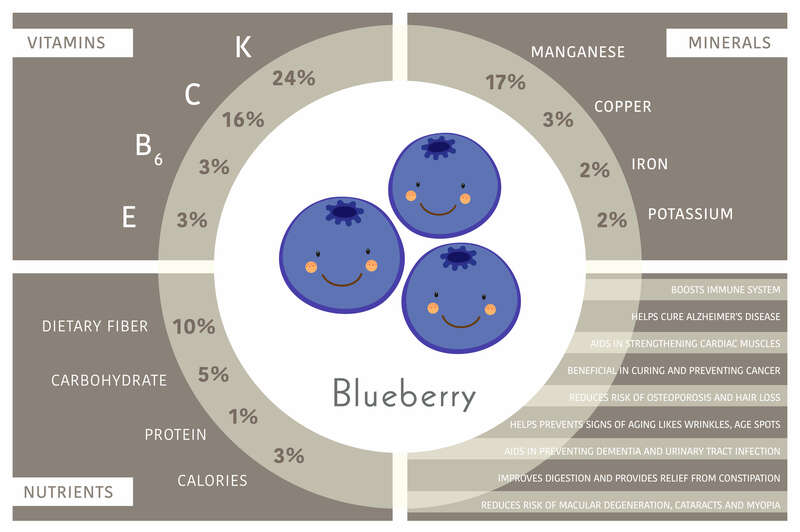 What’s more, blueberries are packed with phytochemicals, flavonoids and antioxidants which are essential for improving the immune system. If your meals aren’t usually packed with vegetables, spring is the ideal time to change that for the better. This season brings all kinds of tasty, health-boosting produce which will not only contribute to your overall well-being, it will also make you want to try out more creative, exciting meal options. All you need to go to the green market and pack your grocery bags with all those delicious spring veggies. And if you’re not really sure where to start, here are some of the most satisfying, palate-enticing spring superstars that you can incorporate into your spring meals with little to no effort. One of the most popular springtime veggies is asparagus, a green stalk rich in iron, calcium, as well as vitamins A, C, E, K, and B6. There are many different ways you can introduce asparagus into your daily recipes; for example, sautéed with eggs for breakfast, thrown into a salad with other veggies and a few slices of of fresh mozzarella for lunch or post-workout snack, or grilled with a slice of salmon for an evening meal. Brussel sprouts are also great for filling up your belly and supplying you with energy during sunny spring days. These bite-sized veggies are packed with Vitamin C, K and plenty of antioxidants. Fry them for a couple of minutes with a chili or two to give the sprouts a kick; alternatively, roast them with the rest of your favorite veggies for a more rich and smoky flavor. If you are new to the world of wellness, then seeing the words “healthy” and “fat” in the same sentence might feel odd to you. But fats don’t have to be necessarily bad for you. On the contrary – healthy, nature-derived fats are essential for achieving balanced eating habits. Since fats are higher in calories than proteins and carbohydrates, they will keep you feeling full and sated for long periods of time. The only trick is to stick to unsaturated, straight-out-of-nature fats and stay away from the nasty, processed stuff. Fortunately, spring offers plenty of healthy fat options you can incorporate into your everyday meals. 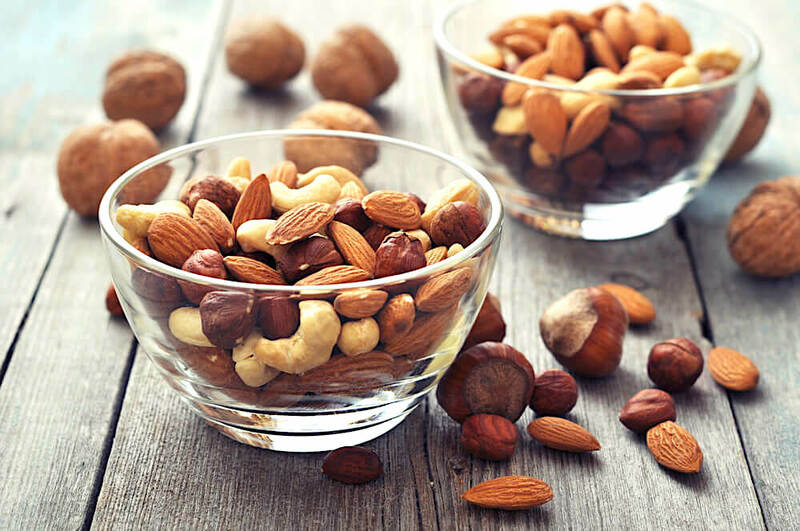 As mentioned before, nuts are a great source of unsaturated fats and proteins; moreover, they make for a great snack in-between bigger meals. Another food that is not only supremely delicious, but also high in natural fats is avocado. This nutritious, versatile fruit that originates from Central America can be prepared in countless way. For a quick and easy option, simply scoop out your avocado and spread it on a slice of toasted bread. Alternatively, you can chop it up in your salad or add it to your smoothie for a richer, creamier texture and extra nourishment. And for something a little more substantial, go for fatty fish. Mackerel, salmon, trout, sardines and other creatures of the sea are loaded with unsaturated fats, as well as hearth-healthy Omega-3 acids, which can help with a host of health issues, including blood fat, arthritis, asthma, depression and ADHD. On a more skin-deep level, these acids can contribute to a plump, wrinkle-free complexion. Spring is also the ideal time to switch to extra virgin olive oil, which is another ingredient that’s chock-full of healthy acids. This staple of Mediterranean diet contains high doses of Vitamin E and K, as well as a number of antioxidants. You can use olive oil in cooking or simply drizzle it over your favorite breads, salads and veggies. And with this, we are wrapping up out list of essential tips and tricks on how to make your diet healthier and more spring-friendly. Now you can go out and stock up on all these delicious, sun-soaked foods that will ensure your belly is full and your health is in check. Instead, think of happiness as a life skill, something that you can work on and develop to ensure that you are feeling consistently happy each day. Wondering how to do this? For someone who has not bought into the idea of meditation, the thought of doing this on a daily basis can seem pointless. 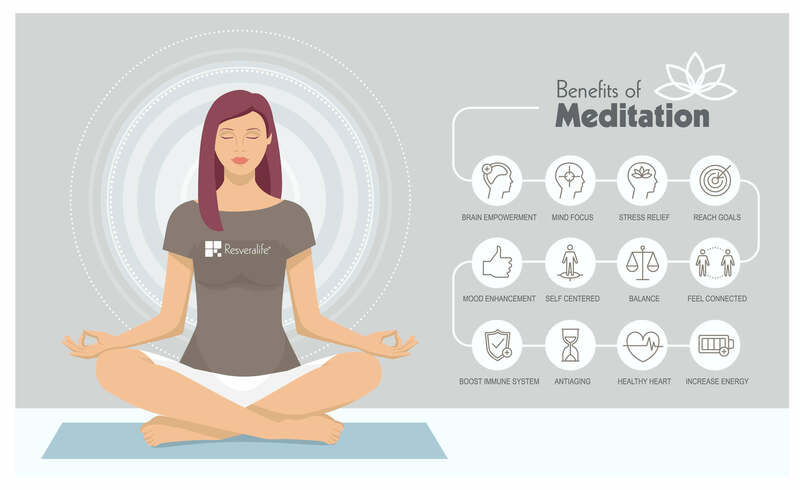 However, meditation has been proven to have so many different health benefits, from increasing focus and concentration to improving memory. In addition to all of this, meditation on a regular basis can permanently rewire the brain to increase happiness levels. When just starting out, all you need to commit to is a couple of minutes of meditation a day. Even if you are extremely eager to get started, it is always best to begin small, so that you can turn this into a habit that you will stick to. It does not matter if your eyes are open or closed, so long as you do this process each and every day. After a week, you can increase your two minutes of meditation to five minutes, and keep doing this in five minute intervals each week. It will take about a month for this to become a habit, after which time you will likely also notice the benefits that this brief daily meditation is bringing to your mind and body. There is an incredibly fine line between staying busy and feeling rushed, but it is this balance that can really make a huge difference to how happy you feel. Research has shown that feeling rushed will inevitably lead to stress, and therefore unhappiness, while having too much free time results in boredom and dissatisfaction. On the other hand, being productive can really boost your happiness, but you need to do this at a pace that feels comfortable for you. Are you someone that often takes on more than you can handle? The best way to handle this is to stop and think each time an opportunity or project comes your way. Unless you are really and truly excited and passionate about it, you need to learn how to say no. 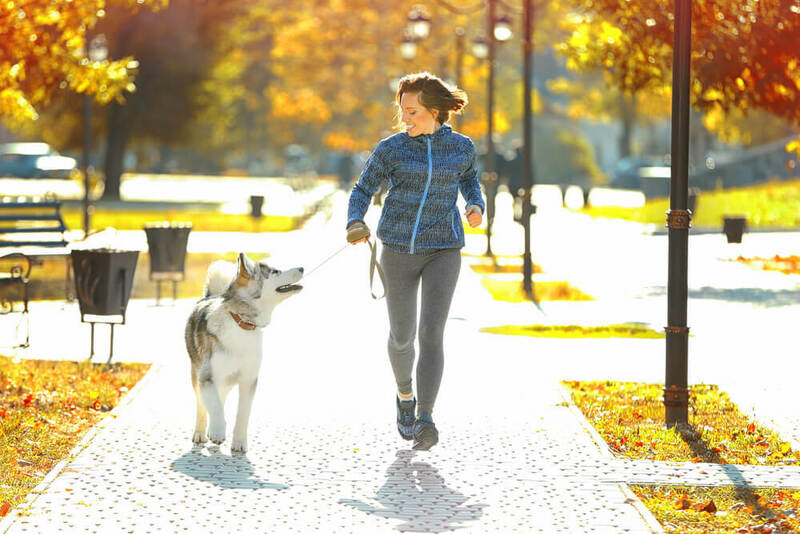 Do you do some form of physical activity each day? If your answer is no, this is a habit that can really help with your happiness. 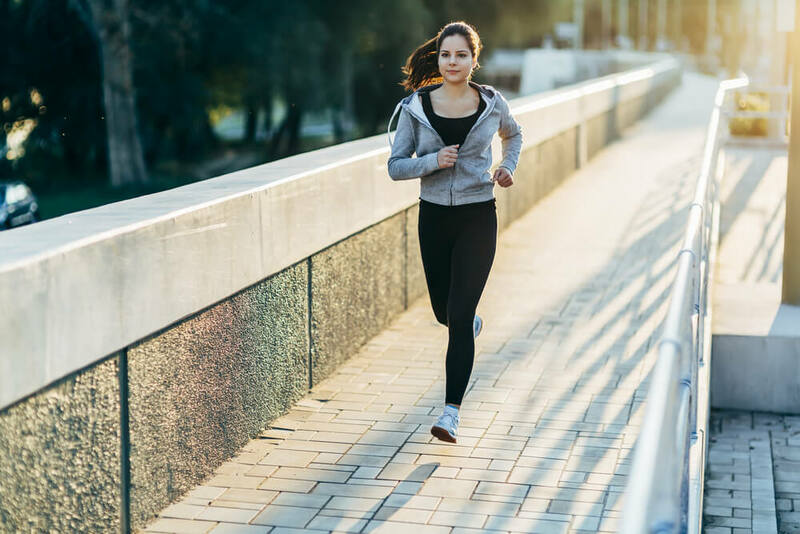 Because exercise triggers the release of certain proteins and endorphins in the brain, all of which will make you feel happier. 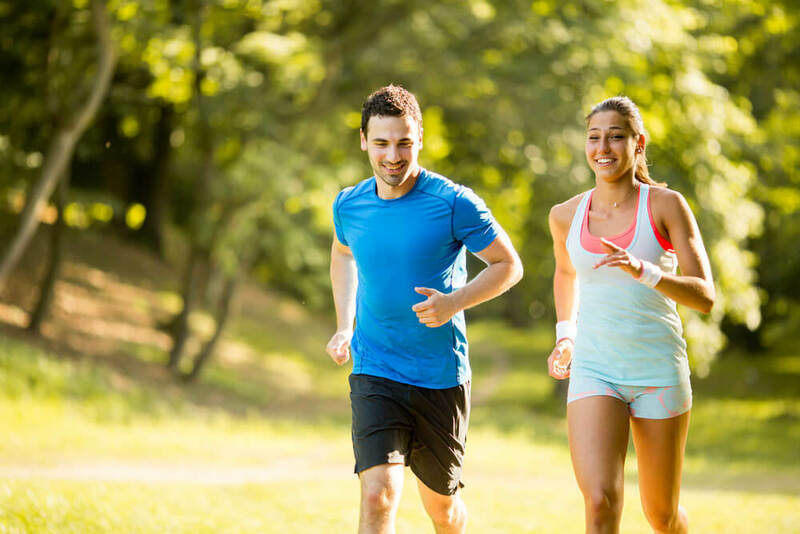 Exercise also helps to boost productivity, which will help with the point mentioned above about keeping busy. 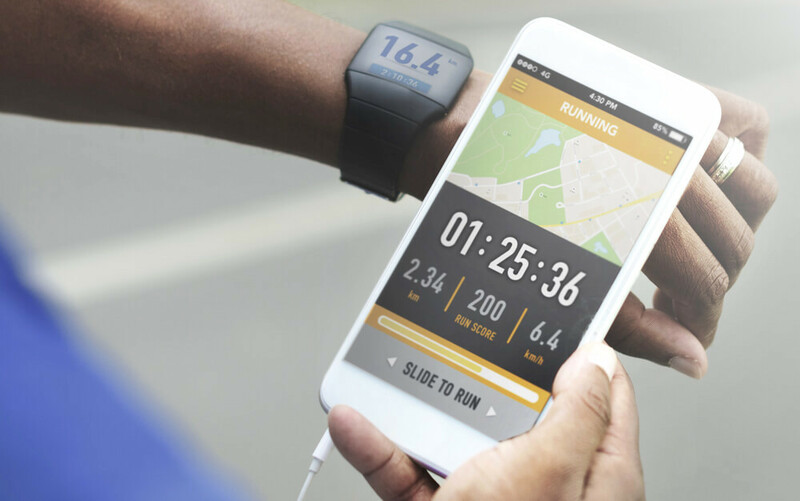 Think you do not have the time to exercise each day? In order to really be happy, you need to be able to challenge yourself, and succeed at those challenges. Taking risks and embracing change is so important, even though it may seem frightening at the time. Don’t like the idea of having to step out of your comfort zone each day? Instead, just try to do something small that you have never done before, whether this may be eating a new ingredient, styling your hair in a different way, or taking a new route to work. Your diet has a direct impact on your mood, and, even if you already eat quite healthily, the majority of people out there could likely easily make a few changes to improve their diet. On a daily basis, you should be eating at regular intervals, as this helps to keep your mood stable, and make sure that you do not skip meals. On the other hand, there are certain foods that can really throw your mood off, making it much more of a challenge for you to feel happy. The main culprit here is sugar, as well as refined white starches. While sugar may give you a short burst of energy, this will soon drop back down, leaving you feeling even crankier than before. So, how do you implement all of this on a daily basis? Small changes are the key here, as you do not need to completely overhaul your entire diet overnight. Instead, aim to improve a small part of your diet each day in a way that you would not have normally done. This could be anything from adding one less spoonful of sugar to your morning coffee to incorporating some extra leafy greens in your dinner to swapping your white bread for a wholegrain version. 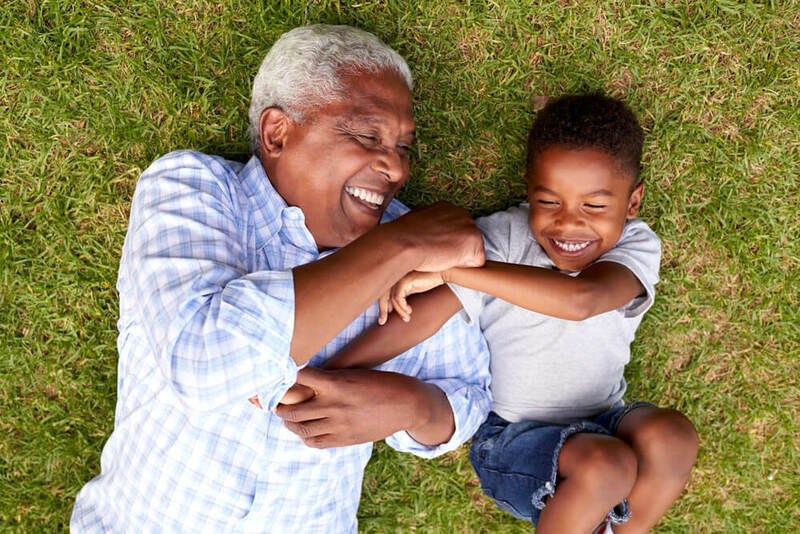 Whether showing appreciation for someone else, or for yourself or what you have, being appreciative has been proven to significantly increase happiness levels, with some studies even showing that it can boost this by up to 25%. 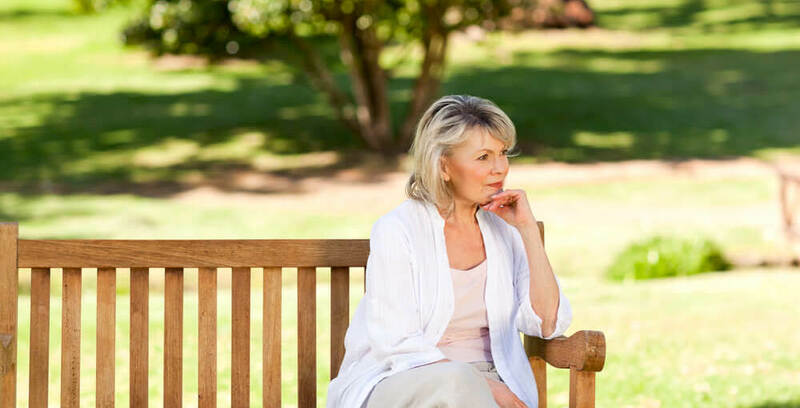 The idea of being more appreciative may seem easy in theory, but how do you actually go about doing this on a daily basis? Simply verbally expressing appreciation for someone, whether this may be for something that they have done or just an aspect of their personality, is a great way to start. Alternatively, try writing a handwritten thank you note to somebody each day, but make sure that you are only sending this with sincere appreciation in mind. When you first start working on implementing this habit, the earlier starts to your day will likely not immediately make you feel happy, but this is something that will develop quite quickly. 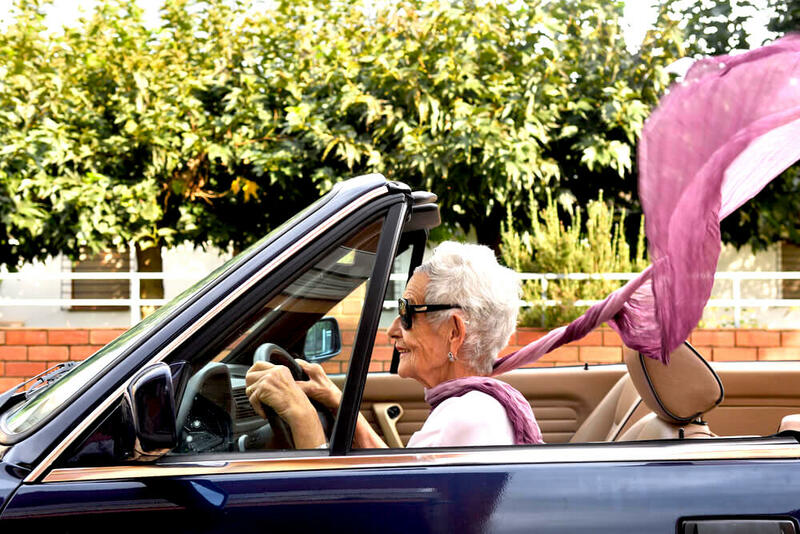 Waking up earlier will help to keep you feeling invigorated and energized throughout the day. It also gives you extra time in your day, which can help with productivity, which also then results in happiness. 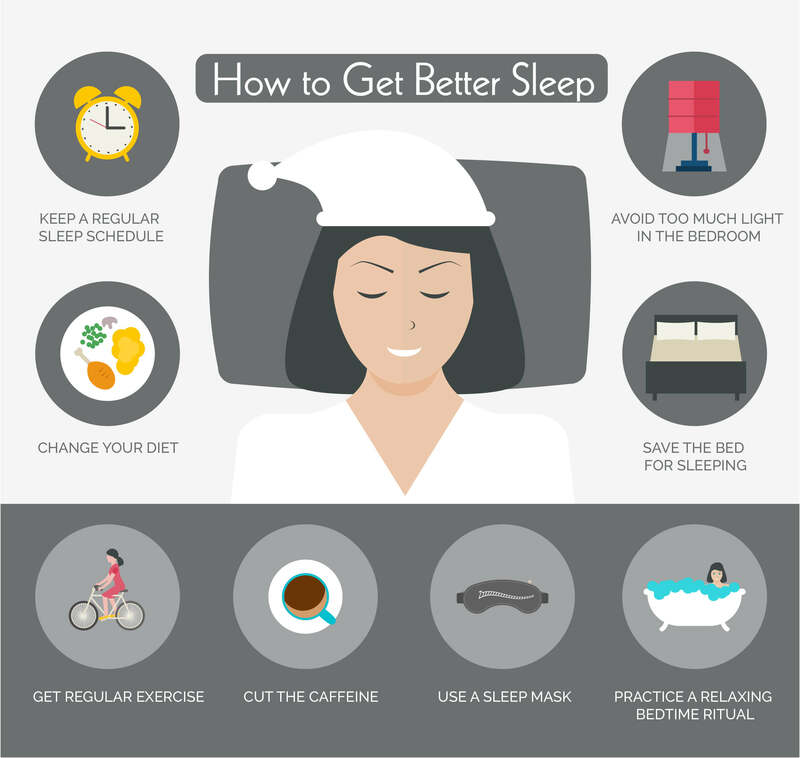 Early starts mean that you are likely to start going to bed earlier, and will be able to maintain a much healthier sleep routine. Just like with changing your diet, this is not something that you need to get drastic about. Instead, set your alarm for 15 minutes earlier than you usually would, and give yourself a few days to a week to get used to this change. Once your body has adapted, set your alarm for 15 minutes earlier again, and keep repeating this process until you have begun to naturally rise at a time that suits you. Human beings have a core need for psychological well-being, and a natural desire to learn new things and progress in life. 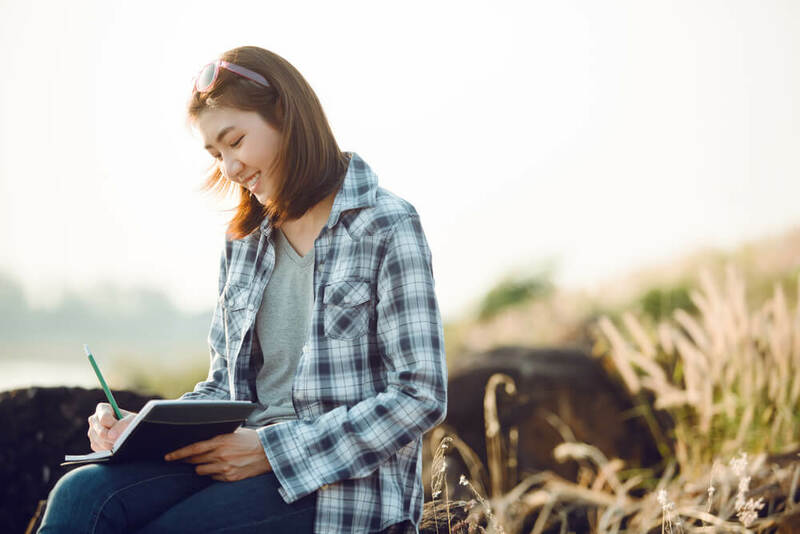 There are numerous studies out there that suggest that education can directly increase happiness, thanks to the way in which the mind is being challenged. Don’t want to go back to school? 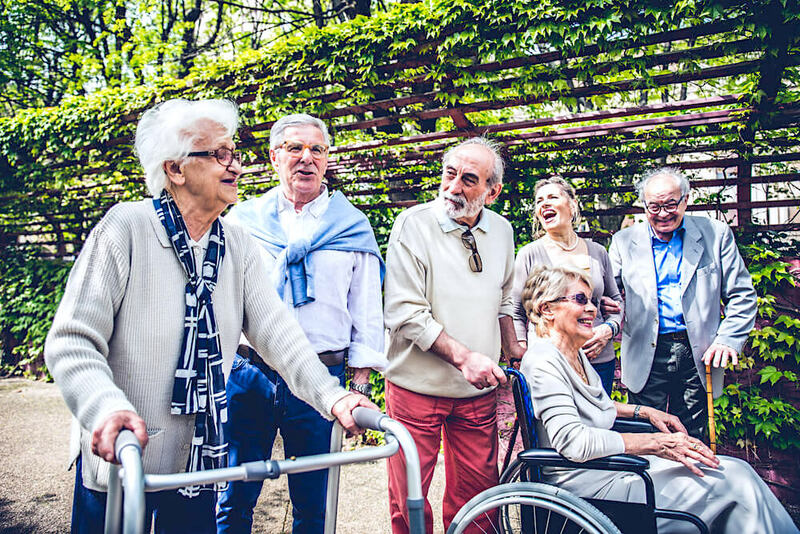 However, research suggests that while the actual learning process can sometimes feel stressful, your overall levels of happiness and satisfaction will be higher when you look back on your day and all that you have learned. 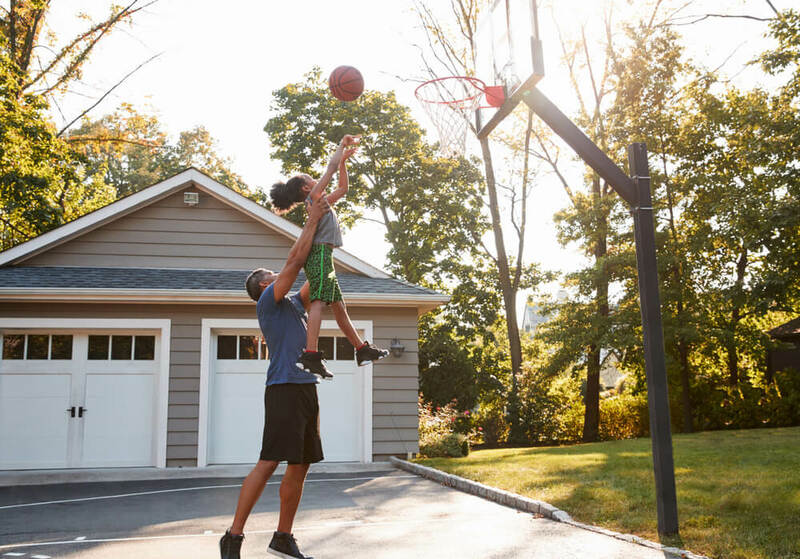 Research shows that in order to be truly happy overall, you need to have plenty of small positive experiences along the way. 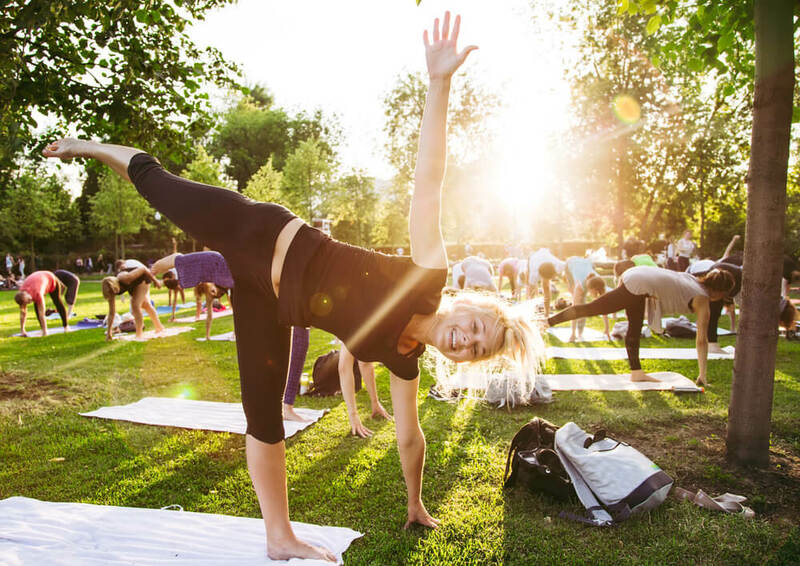 The frequency of these experiences is actually more important than the intensity, which is why treating yourself on a daily basis can really help to boost your happiness levels. Wondering what to treat yourself with? 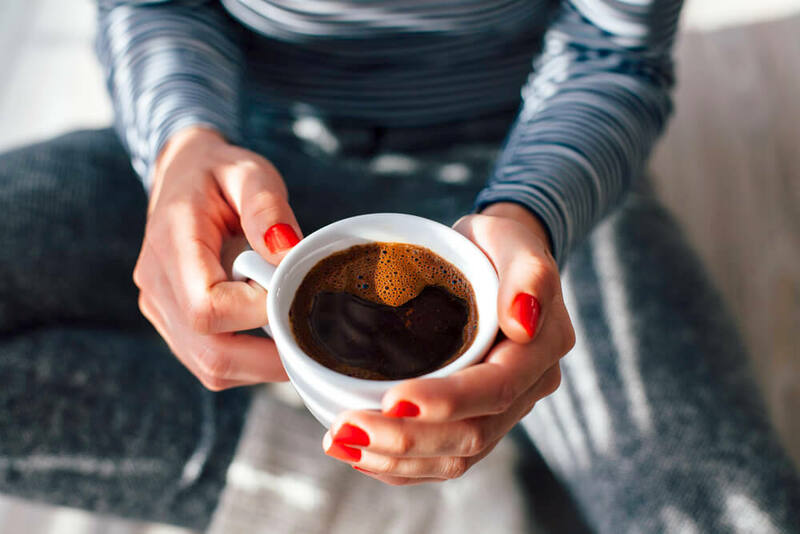 Everything from breakfast in bed to purchasing gourmet coffee beans rather than instant to setting aside some time each day where you can curl up with a good book. There are quite a few studies out there that show that experiential purchases, meaning spending money on experiences, makes people far happier than buying material goods. Do you remember constantly comparing yourself to other people when you were in your teenage years? Hopefully, this is not something that you do quite as much now, since comparing yourself to others can really minimize happiness. Turn this around and instead compare yourself to an earlier version of yourself. Think about your qualities that have improved over the years, as these are much healthier comparisons to be making. However, a journal is a great way to help your mind to process the events that are happening in your life, building up your awareness and increasing your clarity. Even if you only manage to jot down a few lines a day, this can really help in the long run. The easiest way to get started with this is by grabbing a pen and a piece of paper, but there are also journaling apps that you can download. These will send you notifications each day to remind you to write, which is always helpful when you are first trying to build a habit. Not sure what to write about? Just about anything will do! Start by writing down the events of the day, or even what you have eaten. 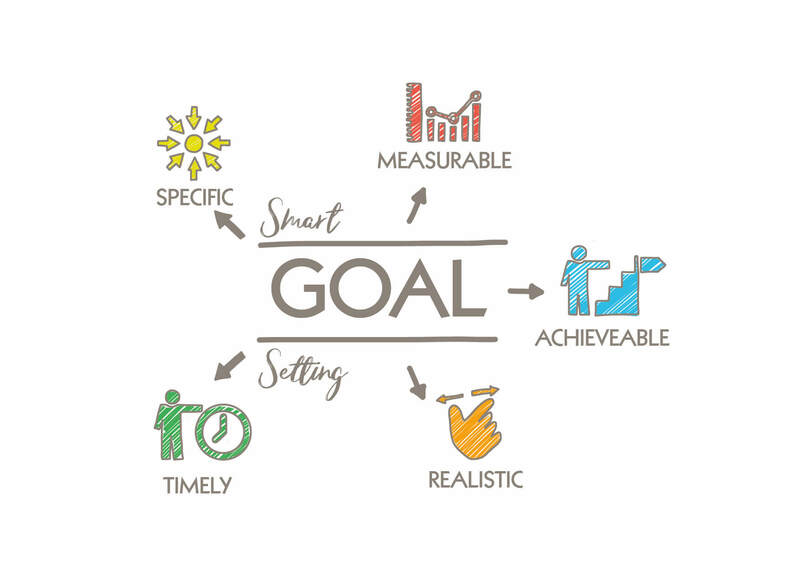 You can also jot down your goals and dreams, as well as any worries or fears that you may have, as just the act of writing these down will help you to work your way through them. 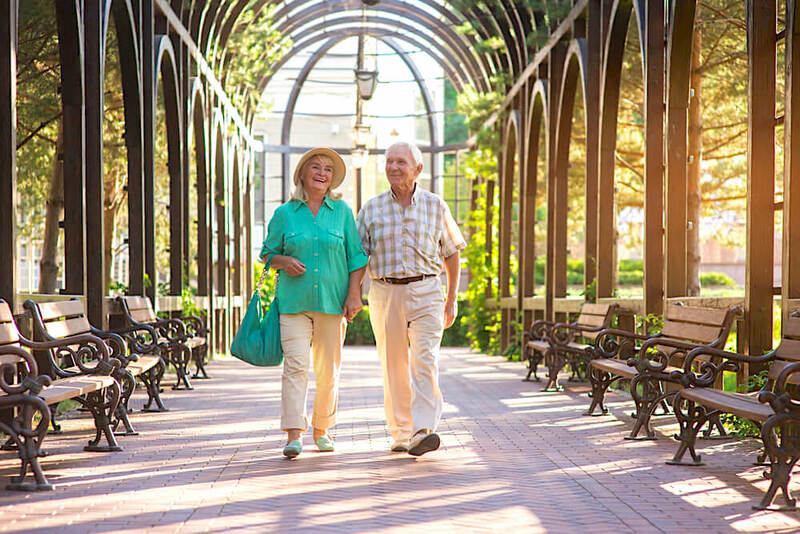 Taking proactive steps to be happy means that you are much more likely to experience consistent happiness in your life, and it makes happiness more of a sure thing, rather than you just waiting and hoping for it to appear. 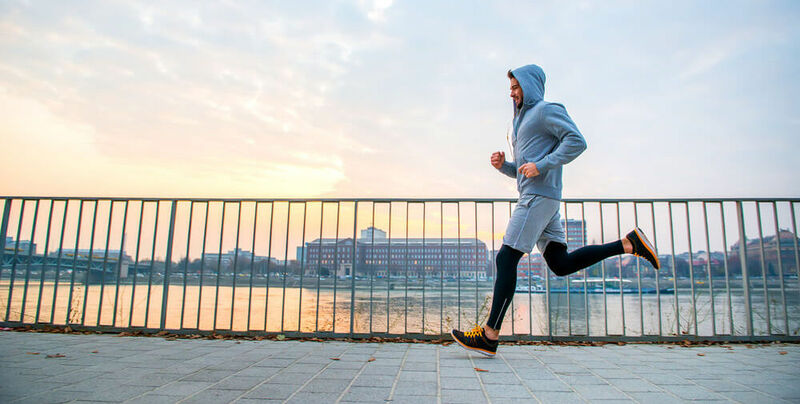 Each of these daily habits are so easy to incorporate into your life, so have another read through the list and then pick a few that you can begin to implement right now.